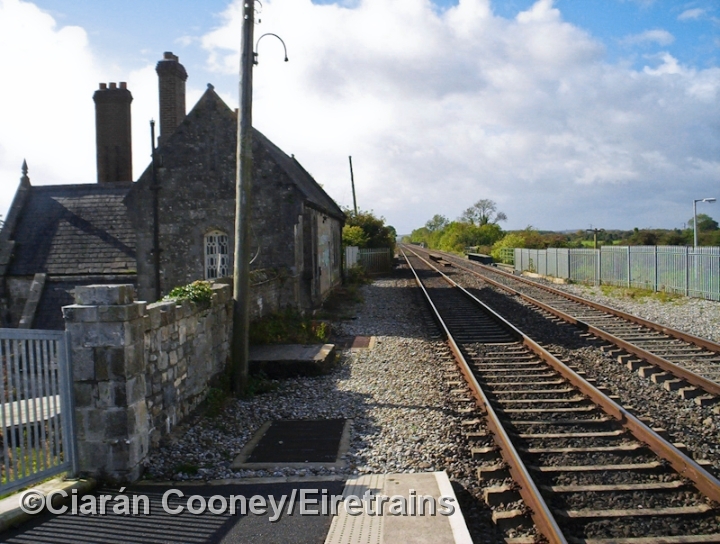 Monasterevin, in west Co.Kildare, was first served by rail when the Great Southern & Western Railway opened their main line from Dublin to Portlaoise in March 1848. 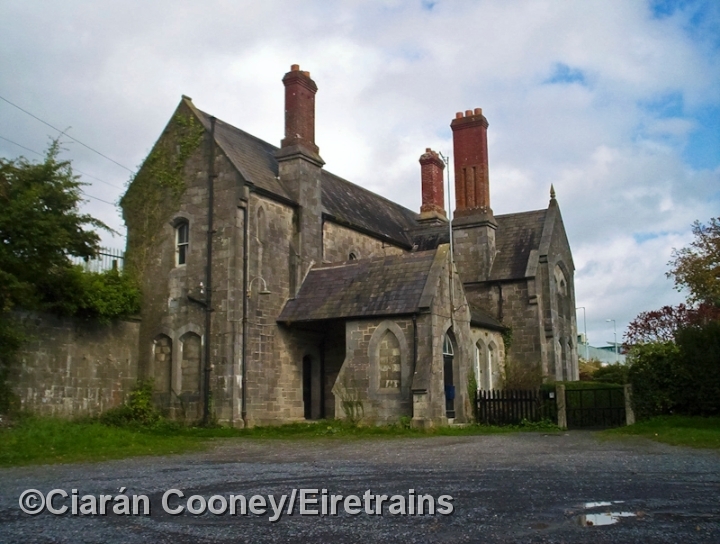 The station at Monasterevin was closed in September 1976, despite local protest. 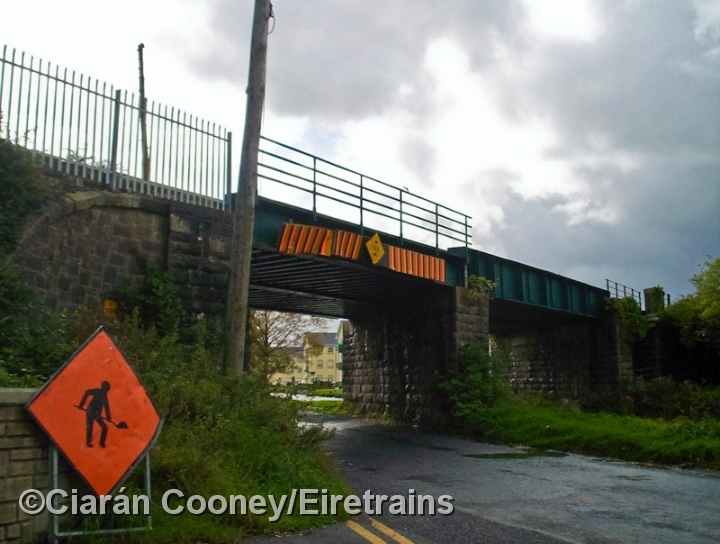 It wasn't until 2001 that the now much expended commuting town gained its new station, located next to the original. 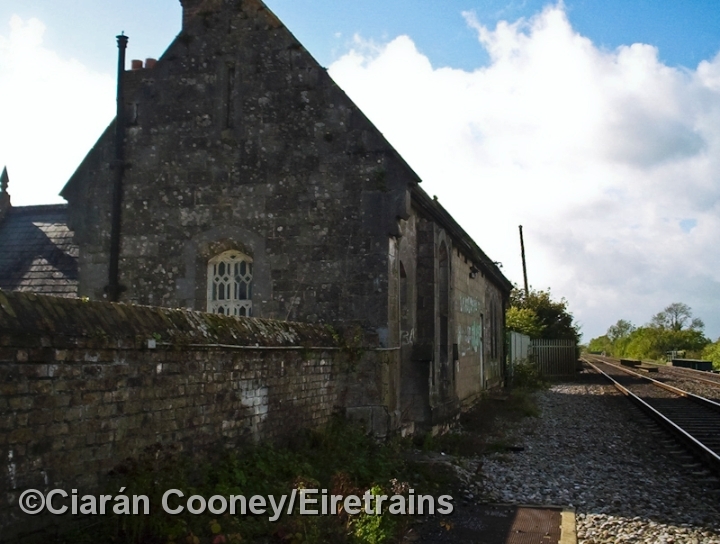 The original station building remains intact, and is very unusual with lower and elevated sections. The structure displays typical GSWR architecture but built with brick chimneys. 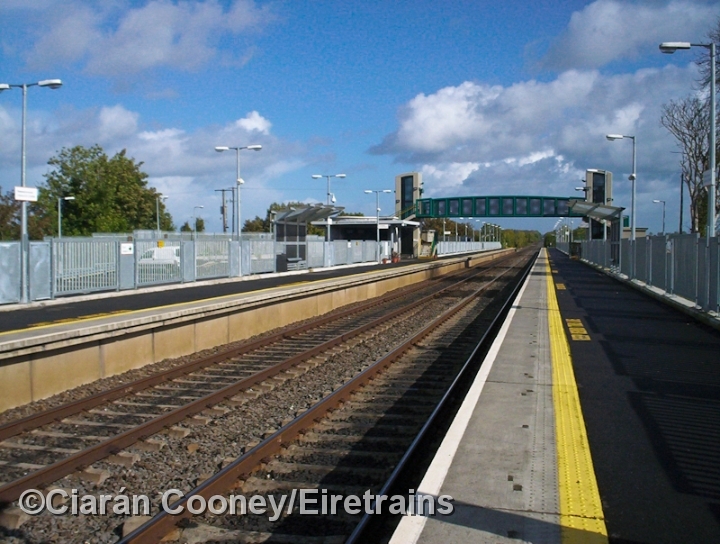 The new station, which has gradually had its services improved over the years, is typical of the modern architecture that has been built by Irish Rail over the last 10 years. At the east end of the station the railway line crosses the Grand Canal, followed by the viaduct spanning the River Barrow.